Were You Hit In a Parking Lot or While Crossing the Street? 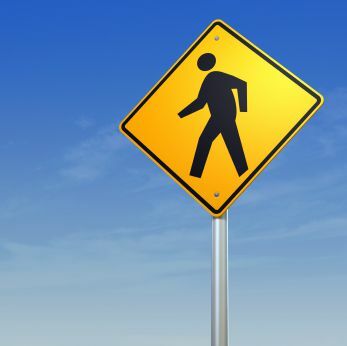 Our Colleyville Pedestrian Injury Attorneys Are Here to Help. Injury lawyers have seen it all: truck accidents, drunk drivers, motorcycle accidents—each with a wide range of injuries and victims. In most cases, the victims are suffering and shaken by the collision. A totaled car or broken leg can take weeks of recovery and thousands of dollars, but with our help, the survivors have a great chance at a full recovery. But what about those who may not be able to speak for themselves? The victims hit while they were unshielded by steel beams and airbags, often while crossing the street. Who will bring justice to the victims of a pedestrian injury? As experienced personal injury attorneys, we know that all car accidents are serious. However, a pedestrian struck by a car is a special case, often resulting in more serious injuries—and also more likely to prove fatal than a two-car collision. Where is a pedestrian injury most likely to occur? Unfortunately, they can happen anywhere you travel on foot—even places you may have assumed were "safe." It may seem ridiculous to be at risk of a car collision in an area where cars are supposed to remain still, but parking lot collisions happen every day. People are hit as they exit their vehicles, cross behind cars, or are simply struck while walking, in full daylight and unobstructed, across a parking lot. Many people drive way too fast in parking lots! More collisions occur in urban areas, where there is a higher concentration of pedestrians. Unfortunately, this also means that more of the population—including children going to school and elderly parents crossing the street—is at risk every day. Hikers, people unwisely crossing along medians, and even people who have run out of gas and are walking a few miles to the next exit. The increased speed along the highway makes people more likely to be killed in the event of a collision. We know that sidewalks are safe, right? They're made for pedestrians; they're only supposed to be used for walking. The problem is, when a driver's vision is impaired from intoxication or night blindness, it can be difficult to see where the road ends and a sidewalk begins, particularly in areas where the sidewalk is close to the road. If sidewalks aren't safe, then driveways certainly aren't. Many pedestrian injury claims result from people being hit in their own neighborhoods: children playing at the end of the cul-de-sac, crossing driveways, or adults going for an evening jog. This may sound extreme, but there are collisions where a reckless driver smashes into a house injuring the residents. A brick home is not as much protection as we would like to believe. It shouldn't have to be this way. Pedestrians should be able to walk safely without the danger of being struck by a vehicle with a negligent driver. When these victims cannot speak for themselves, David Hart is the board-certified Texas injury attorney who speaks in their defense. We’re located in Colleyville, and are conveniently positioned to serve Grapevine, Keller, and the entire Dallas Fort Worth region. If someone you love was hit by a car while on foot, contact one of the experienced personal injury lawyers of The Hart Law Firm today at 1(800) 856-2347 and we will try to help you and your family recover.